Fake news is a real problem. The proliferation of digital devices and content means navigating the news can be overwhelming. 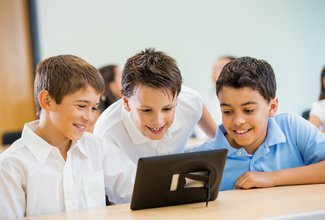 Recent evidence from the National Literacy Trust (2018) found that only 2% of children in the UK have the critical literacy skills they need to tell whether a news story is real or fake. Critical literacy is a cross-curricular approach to teaching that encourages pupils to question and challenge information and discern the truth. 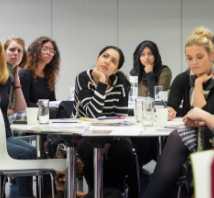 The course explores how critical literacy is key to improving pupils’ critical thinking skills when discussing, reading and writing news within both English and PSHE. Through exploring ways to create an authentic newsroom experience in your classroom, this course will help you to develop high quality reading and writing outcomes for your pupils whilst deepening their awareness of the media’s impact upon their behaviours, identity and wellbeing. The training is aimed at teachers, literacy leaders and PSHE subject specialists working with Key Stage 2. Learn how to promote excitement about the news and develop pupils’ understanding of its role within society. Explore the problem of fake news and help your pupils to become fake news detectives! Learn how to use critical questioning to help pupils to analyse real news reports. Explore how to distinguish between fact and opinion, identify points of view, evaluate author intention and examine bias. Learn how to use real news reports as models for writing. Explore the array of different roles in the newsroom and how to utilise these to enhance pupils’ writing skills. Identify opportunities for empowering pupils to have a voice. Explore how using a real-world context can create an exciting hook into a news project. Learn practical tips for bringing the newsroom into your classroom: how to research and report real stories responsibly and safely, conduct professional interviews and reach a real audience. The course is available both as a one-day workshop or as a twilight. These courses are supported by our NewsWise project. For the one-day session we ask delegates to pay a contribution of £20. The twilight session is free of charge. These resources are designed to help teachers, parents and librarians equip children with the critical literacy skills they need to survive and thrive in today's digital world. The final report of the Commission on Fake News and the Teaching of Critical Literacy in Schools.